The Somic S3 Bluetooth earphones are an interesting gadget. 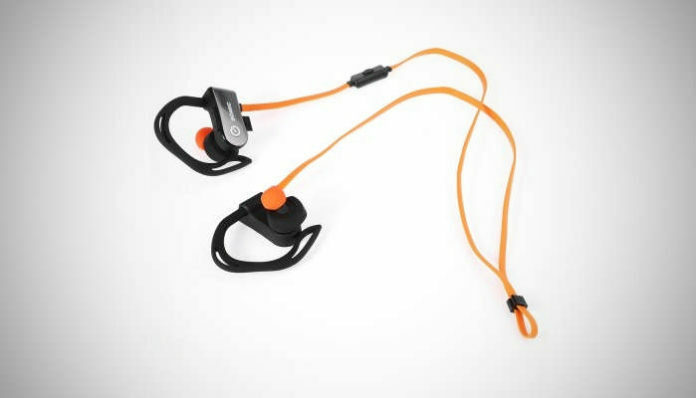 Whilst they come with pretty much everything you’d expect from a set of sports headphones, they also include an in-built heartrate monitor. From the product shots, it appears that the heartrate monitor’s optical sensor is hidden in one of the earbuds so I’m not 100% sure how accurate it will be. It seems that heartrate data can be viewed from the SomicSports app that’s available on iOS and Android (though it’s not on Google Play as far as I can tell). Bluetooth 4.0 is supported for reduced battery consumption and the company claims the in-built 100mAh should be good for just over 5 hours of music playback. The rest of the specs appear to be decent too, offering an IP54 waterproof rating to protect the unit from sweat and rain, a built-in microphone for hands-free use, in-line music controls and the ability to connect up to two smartphones at once. Inside the box, you get the Somic S3 Bluetooth Sport earbuds, 2 pairs of earbud Tips, a micro USB charging cable, and a storage bag. The Somic S3 Bluetooth earphones are available from GearBest for around $53 at the time of writing.